Lowland heathland. Adding colour to the landscape, Lowland heath has open, low-growing, woody vegetation made up of heather, bilberry and gorse. Heaths have been maintained free of trees by grazing, periodic burning and scrub clearance; they support a range of wildlife including birds, mammals, reptiles and invertebrates. Lowland heath is rather scarce and fragmented in Barnsley, found on the edges of slopes of sandstone hills, on former commons, and sometimes where the conditions are right on former pit-stacks. Lowland heath occurs below the upland moors and the upper limit of farming enclosure, normally below the 300 metre contour. It is an open habitat found on poor acidic sandstone soils and thin peat soils. Heaths are the product of human activities and if neglected turn into scrub and woodland. Common heather (calluna) is the most common dwarf shrub in lowland heaths in Barnsley, together with areas of Bilberry and Common Gorse. However Bell Heather (erica) is also found and there are some places supporting the locally rare Western Gorse. Where there has been heavy grazing and burning, Wavy hair-grass is found with the heather. Lowland heathland supports Linnet, Whinchat, Stonechat, Wheatear and in places like Wharncliffe Heath, the scarce Nightjar. It is also home to Brown Hare and Common Lizard, as well as some highly specialised plants especially bryophytes and lichens, and invertebrates. Green Hairstreak Butterfly is supported by heath. Lowland heathland is a local priority habitat because of its national status, the species it supports and, although scarce in Barnsley, the potential for its conservation. It is a UKBAP priority habitat and Section 41 habitat of principal importance. It is classed in Phase 1 habitat surveys as dwarf shrub heath, when there is at least 25% dwarf shrub cover such as heather or bilberry. Common heather is the main dwarf shrub on lowland heaths. support good populations of species of conservation importance, eg birds, reptiles, invertebrates. Note: Some of the heath on enclosed areas close to the 300 metre contour are intermediate between upland and lowland heath and have some of the characteristics of both. They are included within lowland heath for the purposes of this plan. Features of lowland heath supporting wildlife species. The presence and numbers of characteristic birds, reptiles, invertebrates, vascular plants, bryophytes and lichens are important indicators of the quality of the lowland heath habitat. Areas of heathland in good ecological condition consist of a dwarf shrub layer (heathers and bilberry) of varying heights and structures. Areas of gorse, lichen, bare ground and acid grassland can support a wider range of wildlife species, as can some scattered trees and limited scrub. Important mosaics of heath and acid grassland occur. With any enrichment of the ground through disturbance, patches of gorse and brambles can develop which detract from the value of the habitat as heathland. Lowland heathland changes over time from bare ground (after burning or tree clearance) and grassy stages, to mature, dense heath. These different stages often co-occur on a site. There are at least 19 areas of lowland heath in Barnsley. The most significant areas of lowland heath are found on Black Moor Common, the slopes of Hartcliffe Hill, on the hill-edges and slopes near Ingbirchworth and Thurlstone, Whitley Edge and its continuation to High bank, Royd Moor and Small Shaw, all in the west of Barnsley, and Wharncliffe Chase, in the south-west of Barnsley. To the east of the M1 Houghton Common near West Haigh Wood and Gypsy Marsh have small areas of lowland heath. Lowland heath can also be found on some reclaimed tips like that of Barrow colliery and Littleworth Park. Plants: Lowland heath comprises Heather, Bell Heather, Cross-leaved Heather, Bilberry, Cowberry and Gorse species in combination with dwarf shrubs. Lowland Heathland has been lost to agriculture, forestry, quarrying, and development and these are still pressures on the remaining lowland heath, now including pressure from recreation. Agricultural ‘improvement’ by drainage, use of fertilisers, chemical controls etc and nutrient enrichment from surrounding land. Uncontrolled burning in some areas has caused habitat destruction and allowed other vegetation such as bracken to encroach. Disturbance of ground can enrich the soils which leads to a patchy development of gorse and bramble scrub. Fragmentation and loss of heathland habitat affecting associated species such as nightjar and common lizard. Possible threat from infestations of heather beetle (lowland sites are particularly vulnerable) due to more frequent mild winters and wet springs. Appropriate grazing is the main way of maintaining a mosaic of heathland structure; overgrazing will reduce the structural diversity and species richness of vegetation and the quality of the habitat. Burning even if controlled is probably not appropriate as a conservation management technique on the small areas of lowland heath in Barnsley. Manual clearance of scrub together with bracken control may be necessary. Make sure that too much access by the public does not cause damage. Lowland heathland is a priority for nature conservation because it is a rare and threatened habitat. Lowland heath is particularly scare locally amounting to only 7 ha in Natural England’s estimation (0.02%)of Barnsley.. The UK has a special obligation to conserve this habitat: it supports about 20% of the lowland heath in Europe. National policies have a presumption against clearance of lowland heathland in favourable condition for other land uses and development. 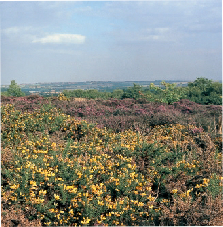 Areas of lowland heath in Barnsley are within sites designated as Local Wildlife Site. LWS have a presumption against development and change of use but have no protection against operations that do not require planning consent. The Defra Ecological Impact Assessment (EcIA) Regulations may apply. Activities on lowland heath where protected species are present may involve offences being committed under the Wildlife and Countryside Act, 1981. Protected species include all breeding birds. Licences may be needed from Natural England. Landowners and managers, including Barnsley council, other public bodies, RSPB, private estates, trusts, farmers and individuals: follow best practice in managing their lowland heathlands for wildlife; take up opportunities to restore or create heathlands where this does not damage other habitats. Nature and wildlife conservation bodies: give advice and provide practical support in management of heathlands. Natural England: gives advice on heathland management and prevents damage to lowland heath in considering change of use applications. 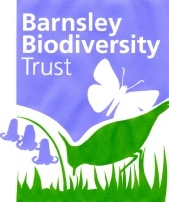 Barnsley Council as planning authority: sets conditions in relevant planning applications to ensure that the biodiversity value of heathlands are maintained and enhanced. Voluntary groups and volunteers: help with heathland management; help with information about the condition of heathlands and provide records of the wildlife in them. Raise awareness of the importance of lowland heathland habitat for biodiversity as well as for enhancing the landscape. Review and seek to maintain the number of sites, extent and condition of lowland heath. Promote positive conservation management practice for identified heathland sites in order to bring them into favourable condition. Seek the creation of new lowland heathland habitat and extension of existing lowland heathland habitat. Seek to create links and corridors between heathland and other habitats. Collect and analyse records of populations and assemblages of wildlife species in lowland heathland in Barnsley. Ensure that all suitable lowland heathland sites are identified as Local Wildlife Sites or SSSIs. number of sites in positive conservation management. protection given to lowland heath sites through SSSI, LWS or other designations. The Wharncliffe Heathlands Trust regularly undertakes scrub clearance, bracken control and maintains grazing of Wharncliffe heath to the potential benefit of nightjar which are found there. The following sites have appropriate grazing for heathland: Wogden foot (BMBC/Sheffield WT), Gypsy Marsh (RSPB). The Coalfield heathlands project worked in part in the Barnsley area. Lowland heath has recently been identified at Littleworth Park; records are being produced and management introduced. Action to conserve areas of lowland heath including Wogden Foot, West Haigh woods, Littleworth Park. The Lowland Heath Habitat criteria for consideration as a Local Wildlife Site are that the sites are over over 0.25ha and contain ≥25% coverage of one or more of the following dwarf shrubs: Heather, Bell Heather, Cross-leaved Heather, Bilberry, Cowberry, Crowberry, or Gorse spp. The latter in combination with other dwarf shrubs). The best sites will have a good range of notable plants and support good populations of key species. Other lowland heathland sites exist on former colliery pit stacks and around the slopes near Ingbirchworth and Thurlstone.